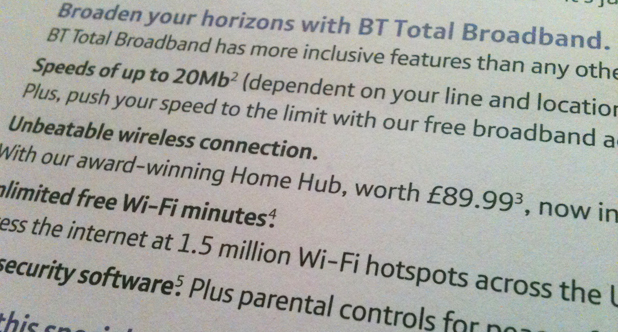 Yesterday I got a letter through the door from my beloved BT (to whose communicative ineptitude this site is slowly become a shrine) offering me a shiny deal on broadband because I’m a ‘loyal customer’. Guess what, when you’re one of the remaining monopolies left in the country, and you have my internet testicles attached to copper wire, that’s not loyalty – it’s because I don’t have a choice. Remember this when you write to me next time.